It can cost a lot of money to buy a new mattress, and you’re going to want to keep the mattress you buy around as long as possible while getting the best experience from it you can. As a result, one of the most frequent questions we get asked is what mattress has the best value. We’ll go over the different types of mattresses and the kind of value that you can expect from each. Then we’ll look at some of the qualities you should prioritize when attempting to get the best value for your money. Finally, we’ll list some of the best value mattresses we’ve seen so you can take the next step into getting the most you can for the least amount of cash possible. Read on to make sure that you get the value you deserve. We’d like to start off by saying that there’s no one type of mattress that is guaranteed to have the best value. 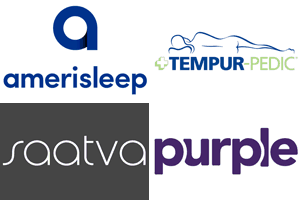 Like any product, mattresses of all types can be of various levels of quality. However, understanding the benefits and qualities of the different types of mattresses can go a long way in helping you assess whether the deal you’re considering is a good one, or if you would be better served spending your money elsewhere. The following list will cover the strengths and weaknesses of the different types of mattress, as well as the core components so you can ensure that the most important parts of your mattress are made from quality materials. Coil mattresses, also known as spring and innerspring mattresses, are the most familiar mattress on the market today. Most people considering making a mattress purchase are old enough to have lived in a world where high-quality foam mattresses were a rarity and every mattress you saw was a coil or spring mattress. When buying a coil mattress, you should pay close attention to the coil count, the gauge of the wire used, the coil and bed construction methods, and what, if any, cover the mattress offers. Higher coil counts, wire that is thinner but doesn’t lose strength, and well thought out and engineered construction details are the sign of a good value coil mattress. Memory foam is an increasingly popular option for mattresses. A memory foam mattress is made from layers of memory foam that responds to your body’s heat and pressure while you sleep to create hug and contour. They are usually a bit more expensive than innerspring mattresses, but they tend to last longer and many people feel that the support and pressure point relief a memory foam mattress offers more than makes up for any added cost. Moreover, as long as they keep gaining in popularity, new manufacturers will join the scene, introducing new competition and creating lower prices. When buying a memory foam mattress, pay close attention to the support, cooling features, foam layer thickness, and level of hug and contour. Latex foam is similar to memory foam in how it’s constructed. However, latex responds faster to your body than memory foam does, which makes it better for active sleepers. Moreover, latex usually offers a cooler sleep than memory foam. Latex also costs a bit more than memory foam does, but you can get a greater variety of all-natural or organic mattresses from latex. Latex mattresses also tend to last a bit longer, 12 years compared to the 10 of a memory foam mattress and the 8 of a coil mattress. Hybrid mattresses use a combination of two or more of the other construction options. If you focus on value in terms of the qualities you get from your mattress, then hybrid mattresses may offer some of the best value for your money. The combination of different styles and construction techniques means that you can get the best of both worlds, like the hug and contour of memory or latex foam with the cooling and bounce of coils. When purchasing a hybrid mattress, you should make sure that the materials and constructions that are combined complement each other. For example, a hybrid mattress that puts coils on top of foam doesn’t make any sense. You should also check into the things that you would investigate for each particular construction method used. Pillowtop mattresses incorporate a plush cushion into the top of the cover of the mattress. 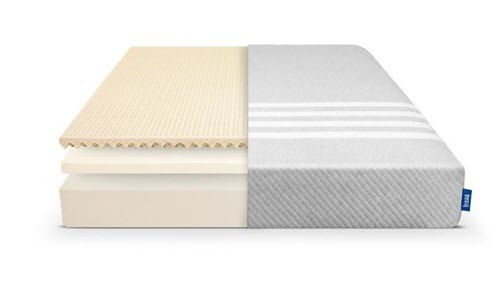 You can find pillow tops on coil, memory foam, latex, and hybrid mattresses. Pillowtops can affect the value of your mattress because they lower the expected lifespan a mattress has. The pillowtop is usually not as durable as the rest of the mattress, creating the risk it wears out before the mattress itself. 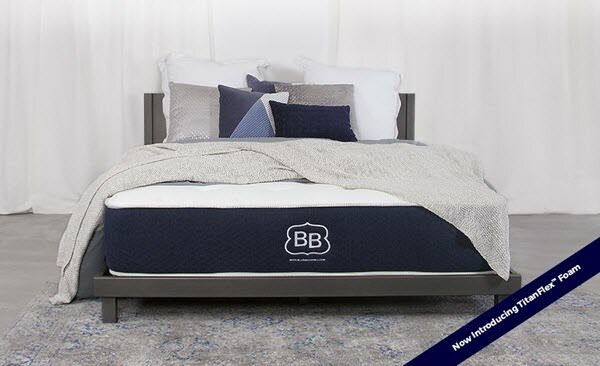 When it comes to getting the best mattress for your money, there are some things that you should think about which apply no matter what type of mattress you get. Namely, layered thickness, durability, and warranty. Generally, thicker layers will wear better over time, and so they’ll offer the most value long term. Thinner layers run the risk of failing in one or two vital areas, like edge support or sagging. This can be a pain, as you’ll need to replace the mattress even if it’s fine in the other aspects of its construction. Durability is important because you want your mattress to work for you as long as possible. After all, the longer you keep your mattress, the less it’s costing you per night to own it. 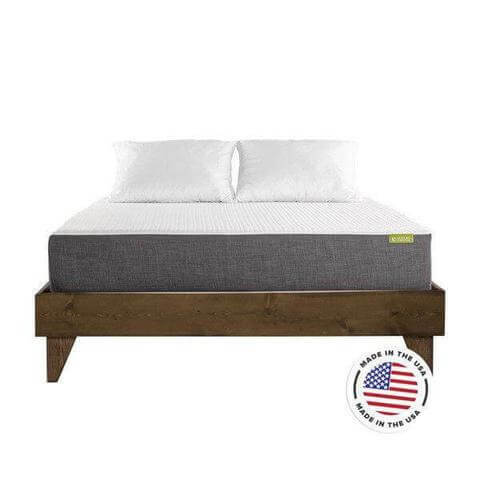 Make sure that your mattress is made from high quality materials, and check out reviews from current owners and knowledgeable websites to get a better idea of how the material will wear. Finally, you should evaluate the warranty on your mattress. A good, long warranty will ensure that if there is a problem you can get your mattress replaced. This can add years or even a whole decade of life to your mattress, all without costing you another penny. Another important thing to consider when trying to get the best value from a mattress is whether or not you’ll need a box spring. This adds another large purchase to your budget, and should be factored in to the overall cost of the mattress you’re buying. Mattresses that don’t require a box spring will produce a better value because the price you pay for the mattress is the actual total cost you need to pay in order to make the mattress function as it should. Failure to consider whether you need a box spring can result in going dramatically over budget. If you’re not sure if you need a box spring or not, be sure to check out our handy guide.